Really Simple Syndication (RSS) was developed as a way of allowing content to be shared and syndicated across the Internet in the easiest way possible hence the name, Really Simple Syndication. RSS first began to be developed in 1999 and since then it has gone through many tweaks and versions. Currently, RSS can be used not only to deliver text-based content but also audio and video. Today’s web site owner needs to arm themselves with as many RSS tips as possible so as to fully compete for web traffic. 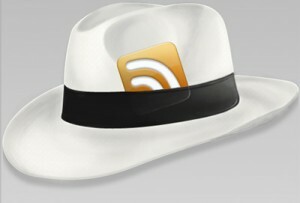 How Does an RSS Feed Work? The key elements of an RSS document are the body of the content and the metadata that provide context and additional information about the content. This information includes details on the author, the publish date of the content and more. Publishers (those who allow your RSS content to appear on their web sites) often want content that is fresh and published within a specific period of time. RSS content can also be delivered to individuals. This happens when an individual subscribes to an RSS feed or channel. Individuals gain access to RSS content via an RSS plugin: a web-based tool, a mobile device or a desktop-based program. The programs that read RSS feeds are called by several names. Why All the RSS Hype? RSS was initially used for bringing fresh and regular news content to web sites. It allowed for regularly updated content to be delivered to web sites in an easy manner. Although RSS is still used for this purpose, Internet marketers have discovered other ways that RSS can be used to drive huge amounts of traffic to their web sites. One of the best ways to rise to the top of search engine results on the Google.com web site is by having a large number of links pointing towards your web site. These links are known as ‘backlinks’. Backlinks are one of the hidden ingredients needed for Google search engine success. Web sites with a large number of backlinks are seen by Google as having more credibility than those that not many other web sites link to. Therefore, one of the aims of the successful, business web site owner is to have as many backlinks to their web site as possible. The more web sites that feature your content on their web sites through RSS feeds, the more backlinks you will have to your site and the quicker you will sail your way to the number 1 spot on Google. RSS feeds can be used to deliver keyword-rich content to other publishers that ultimately drives traffic to your site. Article RSS publishing can provide you with hundreds, and even thousands of potential backlinks. Because of this, you can quickly propel your web site and thus your product or service into the forefront of search engine results. As an RSS content publisher, all you have to do is develop your content, publish it and let the backlinks work for you. You can quickly and easily get ahead of your most aggressive competitors using RSS because most web site owners still have not caught on to this valuable marketing technique. Statistics show that the majority of your competitors will not be using RSS to its fullest extent or for maximum impact. If you update your web site on a regular basis, consider publishing the same content as an RSS feed for other site owners to use as content on their web sites. Dealing with the technical side of article RSS can be quite complicated so I recommend getting some type of automatic RSS submission software. This type of software allows you to develop your content, and once it is ready to be distributed, it will make the content available to hundreds of other publishers to use via RSS. Since everything you publish will have a link back to your web site on it, you will very quickly gain backlinks as people use your content.